12” LED Touch Screen with US Lake and Coastal Charting! 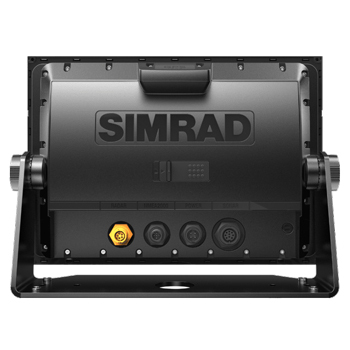 Whether you are heading out for a cruise down the intercoastal or heading offshore for a day fishing, the GO12XSE from Simrad is a must have! With its bright 12" multi-touch display, your GO system is fully customizable to your liking with your most used features just a touch away! Packaged with both Navionics Plus Mapping for Coastal and Lakes throughout the US and Canada as well as C-Map Insight charts your are sure to have the charts your need. However if the pre-packaged information isnt enough, the GO series of GPS/Fishfinders are compatible with both C-Map Max N+ and Navionics Platinum Plus charting for ever greater detail. With storage for 6,000 waypoints, and 500 routes you are sure to be able to keep track of your favorite hotspots and to get you back to all of your favorite locations as you please. CHIRP Sonar, DownScan and StructureScan - simply pair the appropriate transducer with your GO 12 and your will see under your boat like never before! The built-in CHIRP Sonar provides clear detection of fish throughout the water column while the down and side scan provides near photo-like detail below and to the sides of your vessel. Select an all in one transducer like the TotalScan Transom Mount and get all those images right on your display from a single transducer! A standalone system, the GO 12XSE provides NMEA2000 connectivity for engine data, AIS, VHF and more! IN addition to this, wireless functions are available via Bluetooth and WiFi - allowing the user to easily download additional maps or even update your software from a wireless hotspot. 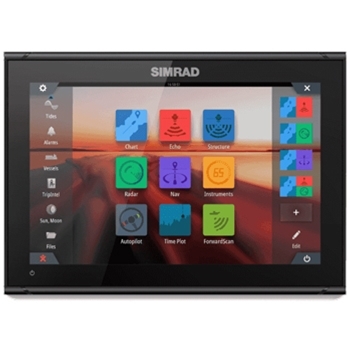 It doesn’t stop there though, with your tablet or mobile device you basically have a second station from just about anywhere on your boat, mirroring your display’s screen on your smartphone or giving you full remote control from your tablet with the free Link app. The GO12 is also compatible with Navico’s SonicHub 2 allowing the user to stream music from Bluetooth connected tablets, smartphones, and other mobile devices when paired with this black-box audio system that eliminates the need for a separate head unit. 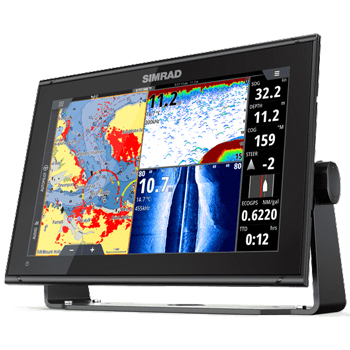 Also, compatible with Simrad 3G/4G and Halo Radars, the Go12XSE is an affordable solution to a large screen display with Radar capability and NMEA networking. Saves up to 6000 Waypoints. Lowrance’s next generation in Marine Audio Servers is here with the SonicHub2. Packaged with the SonicHub2+ Black Box and 200W 6.5” Speakers, this unit provides mariners full control of Audio and Video playback with compatible Lowrance Live, Carbon, HDSGen3 and HDS Gen2 Touch and GO12XSE Units. NMEA2000, Bluetooth Streaming from Smartphone or Tablet, Dual USB Ports and Much More!